The baptism, or christening of your little one is an important milestone in both their and your lives, which is why you’ll undoubtedly want everything to be perfect. This goes for the invitation cards too that you’ll be sending out to your friends and families encouraging them to come to this very special day. To truly symbolise what this day means for you and your little one, we understand that you’d want something unique and personalised. This way even the invitations will become a cherished memento for years to come that you can look back over and reminisce. For such a momentous day, the invitations you send out for your baptism or christening must be just right. 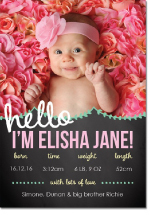 This is why we have made sure to offer a comprehensive selection of adorable, meaningful, sweet, cute, thoughtful and gorgeous invites to make sure you find the one that sends the message you’re hoping to achieve. When you purchase from us, you can rest assured that you’ll only receive the highest of quality, from the standard of card stock, through to our first-rate printing technology. 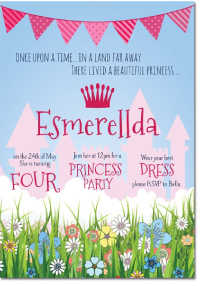 Our team of in-house graphic designers means we can get as adaptive as we’d like when it comes to personalising our invitations, whether for a christening, baptism, baby shower, 60th birthday party, or otherwise! 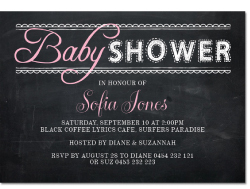 We can even include a personal photo of your little angel on the invitation for a truly unique touch. Whether for a quote on our custom designs and printing, or for any general queries, please contact us today and one of our staff will get back to you as soon as they can.